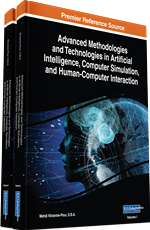 This chapter deals with the design and implementation of bio-inspired control architectures for intelligent multiple mobile robot systems. Focusing on building control systems, this chapter presents a non-centralized, behavior-based methodology for autonomous cooperative control, inspired by the adaptive and self-organizing capabilities of biological systems, which can generate robust and complex behaviors through limited local interactions. With autonomous behavior modules for discrete event distributed control, a modular, Petri net-based behavioral control software has been implemented in accordance with a hierarchical distributed hardware structure. The behavior modules with respective pre-conditions and post-conditions can be dynamically connected in response to status events from action control modules at the lower level to achieve the specified overall task. The approach involving planning, control, and reactivity can integrate high-level command input with the behavior modules through the distributed autonomous control architecture. This chapter concerns the design and implementation of bio-inspired control architectures for intelligent multiple mobile robot systems. In a multi-robot system, robots work together efficiently to accomplish tasks intrinsically distributed in space, time, or functionally. Due to the cost of increasing system complexity especially in control and communication, it is difficult to implement a centralized controller for multi-robot systems under unknown dynamic environments (Khoshnevis & Bekey, 1998; Klavins, 2003). Focusing on building control systems for intelligent mobile robots, this chapter presents a non-centralized, behavior-based methodology for autonomous cooperative control, inspired by the adaptive and self-organizing capabilities of biological systems, such as turning over behavior of starfishes (Suzuki, et al., 1971), which can generate robust and complex behaviors through limited local interactions in the presence of large amount of uncertainties (Pfeifer et al., 2007; Salazar-Ciudad et al., 2000; Shen et al., 2004). Traditionally, the fundamental feature of asynchronous concurrent processes in robot control systems was already employed in the control system design as a centralized control, where a single multitask operating system controls different programs, or processes, to be performed concurrently, such as locomotion control, environment recognition, path planning, decision making in uncertain environments, etc. under a set of timing requirements. From the view of asynchronous concurrent processes, modularity and localization of control are critical issues in control system design. Thus, in this chapter, the distributed control architecture, based on discrete event systems as a formal approach, is configured as a collection of asynchronous, concurrent processes in a hierarchical but non-centralized way, and consequently it can be developed in such a way to reduce the programming requirements. While actuator and sensor controls, such as vehicle control and image processing, are prerequisite at the lowest control level, a unified and systematic methodology has been developed to combine given techniques for controlling the robot motion and for integrating sensory information at some higher control levels, into one complete robot control system for real-world robotic applications. Asynchronous concurrent processing on parallel distributed architecture can support the coordination between the global intelligence or control center and the set of local centers as well as among local centers (Alon, 2006; Kondacs, 2003; Taylor, 2014), where each local center supports at least one robotic module and each module is governed by only one local center. The channel between two local centers is also open for emergent responsive motions. The object-oriented concept can be employed to support the system requirements for modularization of robot intelligence including the reconfiguration of global-local interaction through parallel distributed processing, utilizing the traditional technique in spatial and kinematic planning, and dynamic control as building blocks (Werfel, 2004). Thus, the distributed autonomous control system design based on asynchronous concurrent processing would provide the necessary flexibility to overcome some of limitations of current intelligent mechatronic system design. Furthermore, the flexibility for different tasks and control environments can be increased, by integrating various robots and components into systems in a heterogeneous robot environment where each robot has its own kinematic structure and programming language. This chapter describes the hierarchical task specification in terms of event driven state based Petri net modeling (Yasuda, 2014), where the robotic task model is hierarchically decomposed into subtasks in such a manner that every subtask, represented as a subnet of the task specification net model, is assigned to a local module, based on the geographical distribution of the local centers.